IC 1396 is a mixture of ionized interstellar gas and dust cloud located in the constellation Cepheus, approximately 2’400 light-years from earth. Due to relative proximity of the nebula, it didn’t fit into the field of view of my telescope/camera. My previous picture, which I captured by the same telescope, was created by using focal reducer and therefore nearly fit into the field of view of even smaller CCD chip. 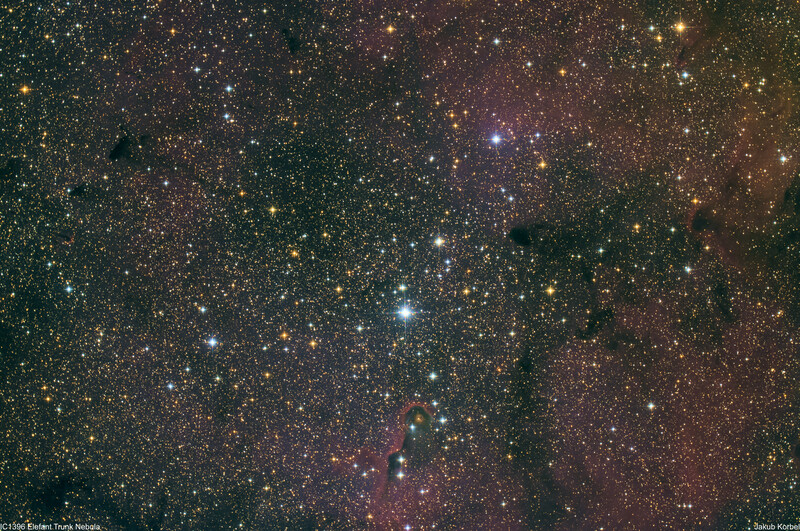 However, under dark skies of Milos, there is no need to use narrow band filters and very nice dark nebulae are nicely visible.